2001 Loving Family Scrub-a-Dub-Tub. 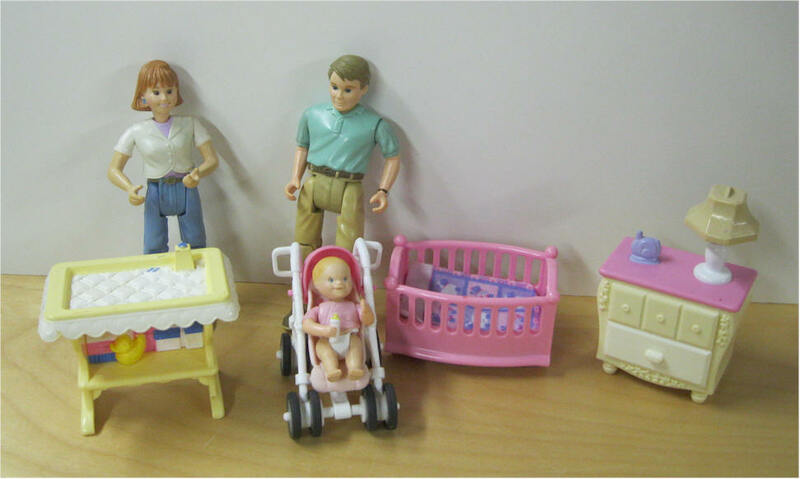 Set includes: Tub Vanity, Toilet, Tub for baby, and Towel. Price $12 Loving Family Sparkling Symphony Nursery. Includes: Bed, teddy bear, computer and desk. 2001 Loving Family Jump on the Bed. Includes: bed, teddy bear, rocking chair and desk. 2002 Bathroom. Includes: Vanity, toilet, tub and potty chair. 2005 Loving Family Puppy Playtime. . Includes: dog house, 2 puppy's, brush, dog food in bowl, bowl, wash tube, towel and rug. 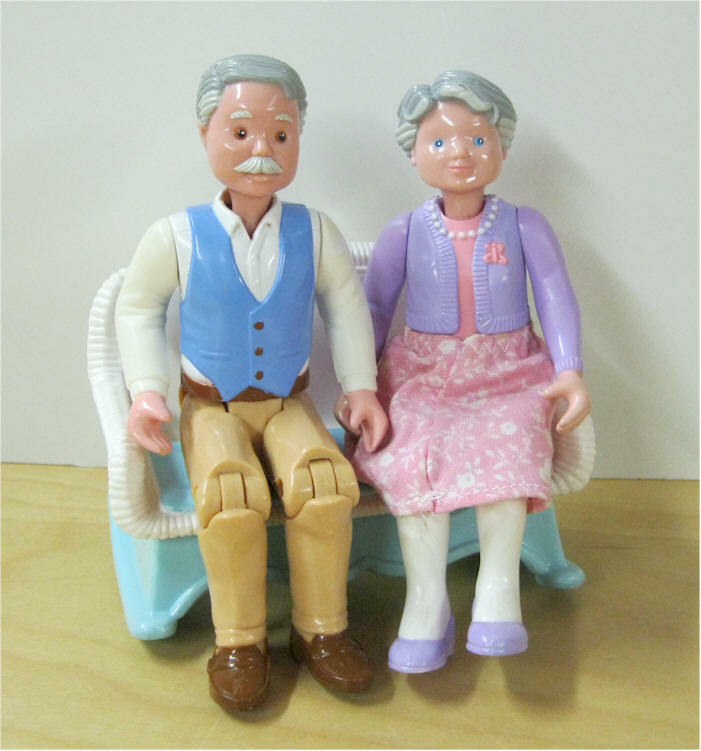 1998 Dream Dollhouse - .Very Rare Grandparents. 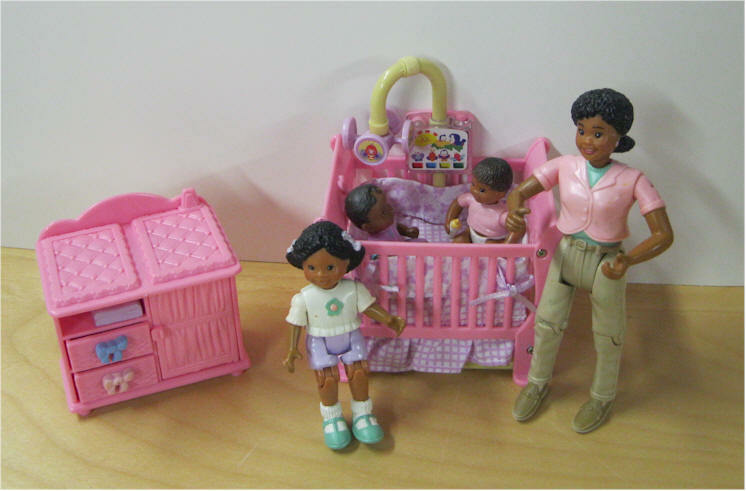 Price $46 SOLD 1995 Dream Dollhouse - .Babysitter and Baby Set. 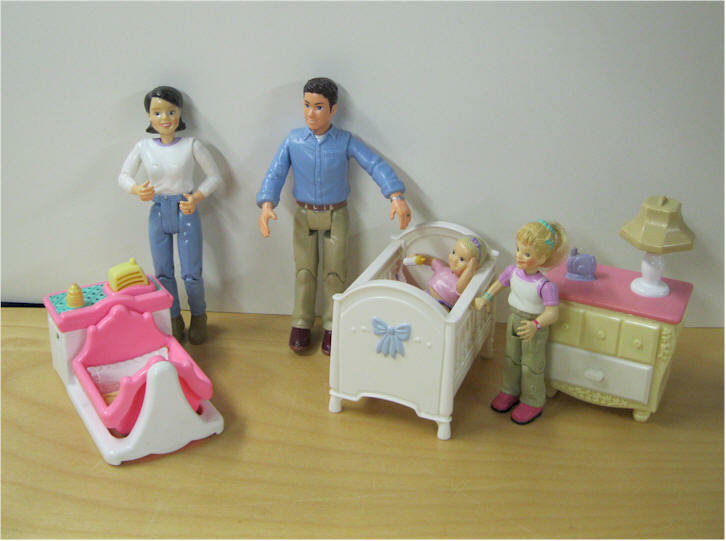 1995 Dream Dollhouse - .Girl's Room Set. 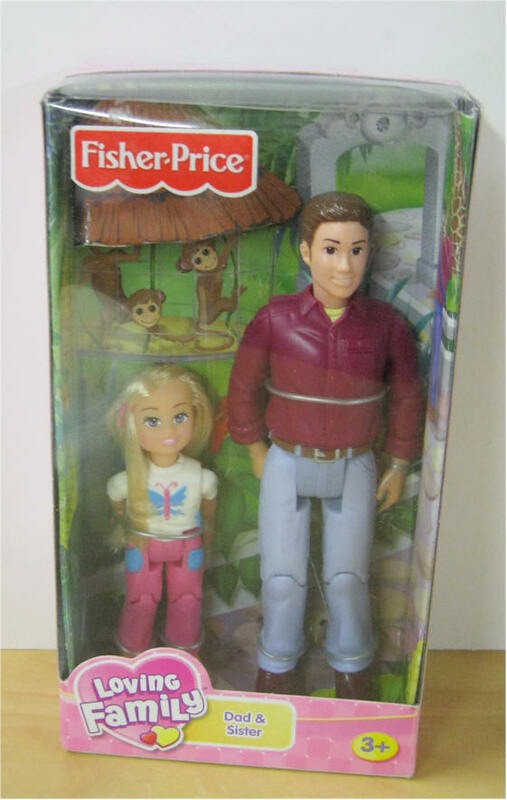 Price $15 SOLD 1995 Dream Dollhouse - .Village Police Officer w Box. Includes: Police Officer and scooter. Items in original package. Never played with. Complete. 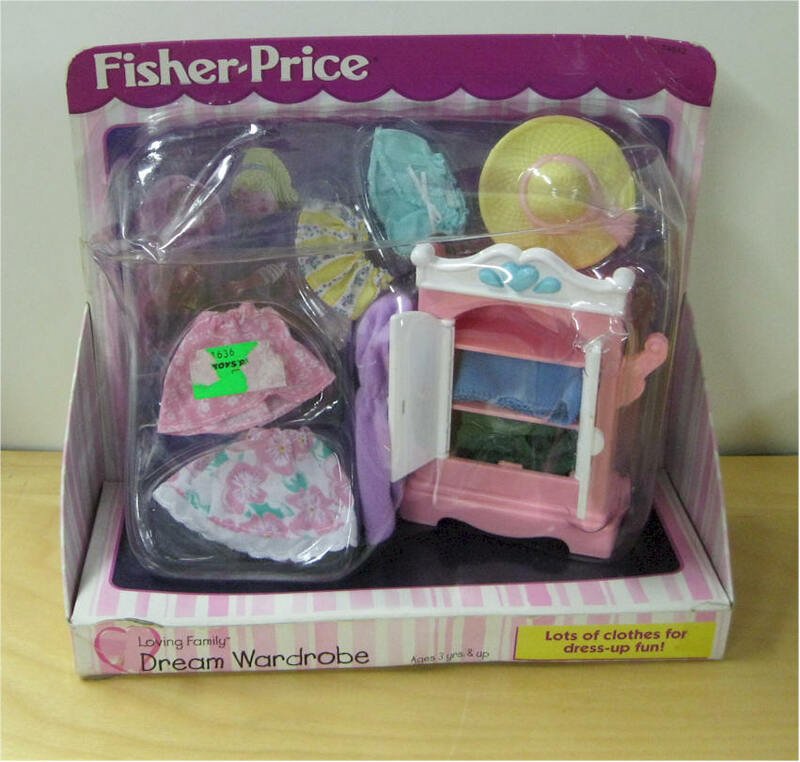 2000 Dream Dollhouse - Dream Wardrobe w Box. Includes: wardrobe, hat, 7 pieces of clothes. 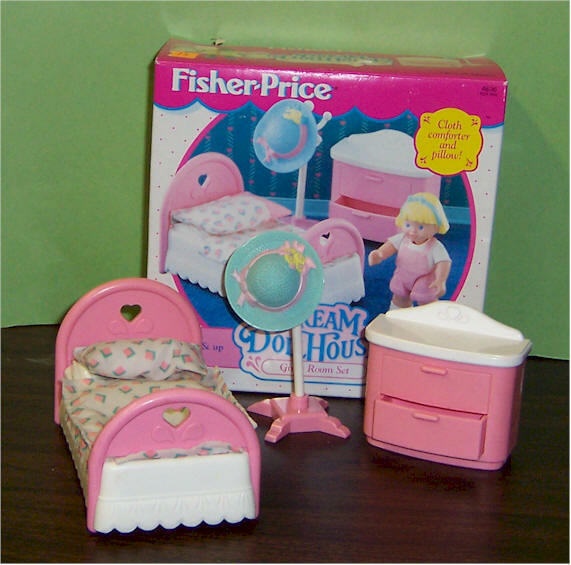 Price $20 SOLD 1995 Dream Dollhouse- Powder Room Set w Box. Includes: toilet, sink, towel rack with 2 towels. Used. Complete. 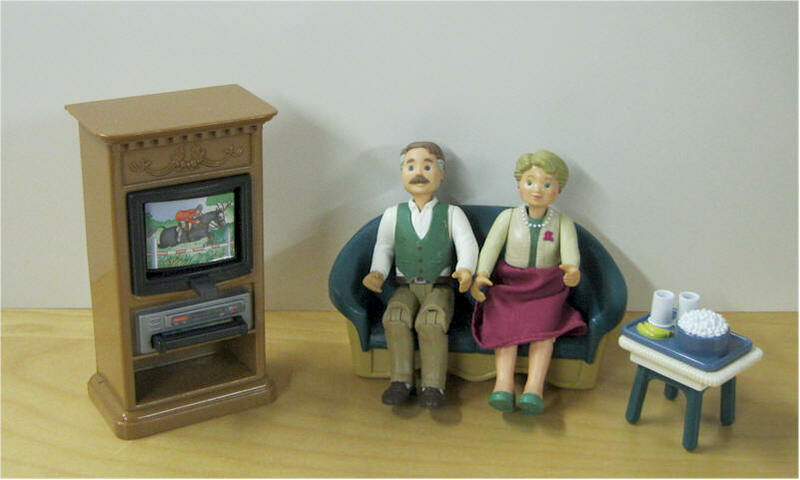 1995 Dream Dollhouse - Living Room Set w Box - Includes: TV, Chair, Table, lamp, flowers, and chest. Used. Box taped in back. Complete. 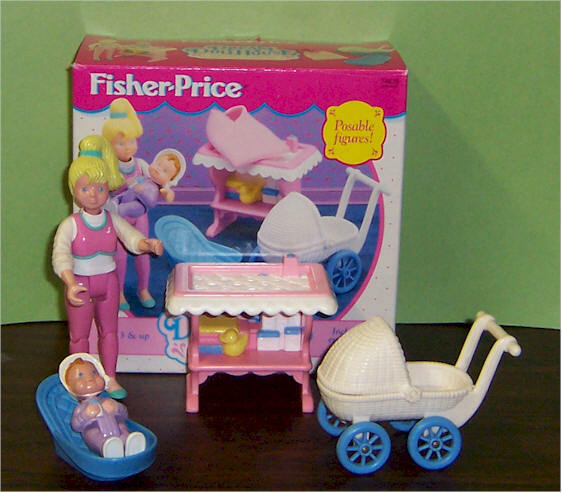 Price $15 SOLD 1995 Dream Dollhouse - Village Vendor w Box. Includes: Vendor and cart. Used, Complete. 1994 Dream Dollhouse - Pajama Party Set w Box. Includes: 2 cloth sleeping bags, radio, puppy,, Kitty, phone and TV. Items in original plastic bags. Never played with, Complete. 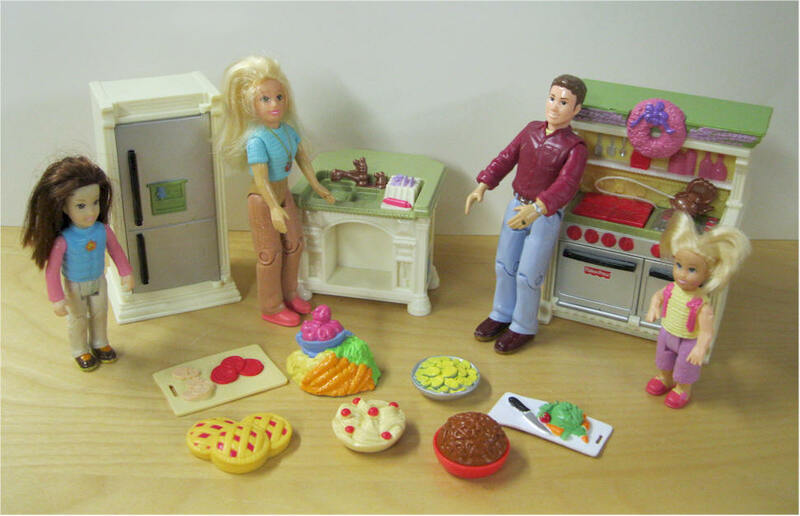 Price $20 1994 Dream Dollhouse - Kitchen and Kitty Set w Box. 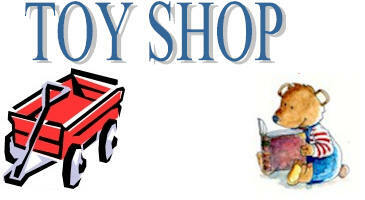 Includes: cart, kitty w bowl, food, basket, Used,. Complete. 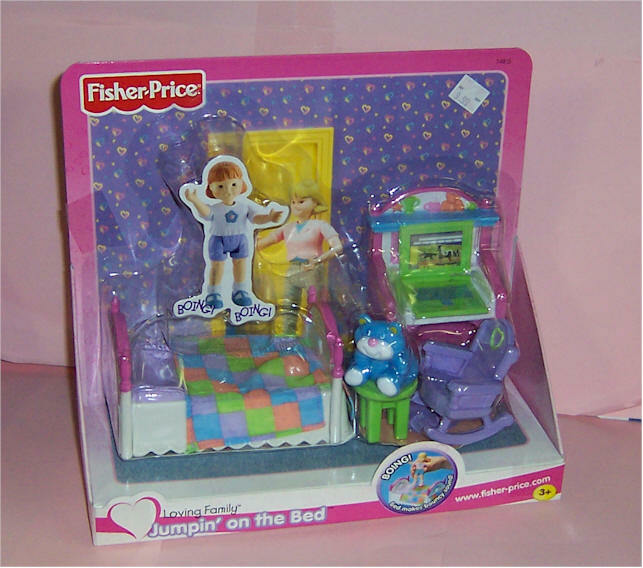 1995 Dream House - Pet Shop w Box. Includes: Grooming center with soft towel, leash to walk pets, food dish, cat and kitties, pet bed, cash register, dog and puppies, birds with removable stand, girl and blanket. Used - Box in good shape. 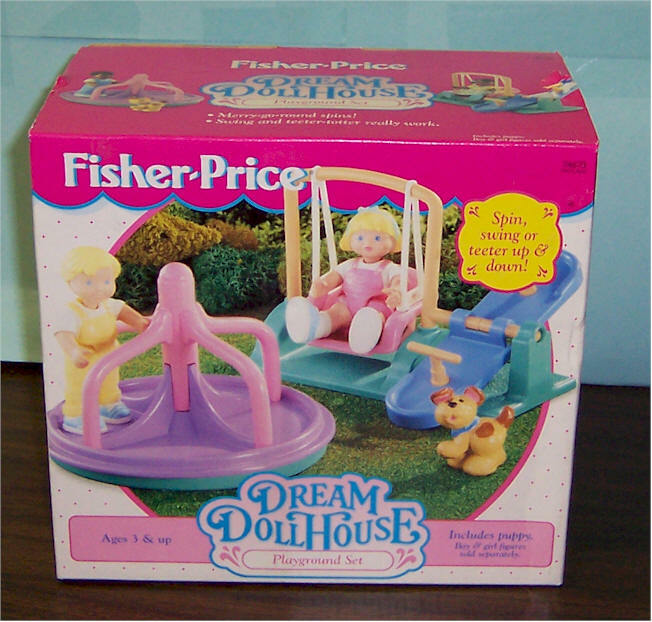 Price $40 SOLD 1994 Dream Dollhouse Housekeeping Set w Box. Includes: ironing board w iron, vacuum, basket, kitty, and cloth. Items in original plastic bags. Complete. 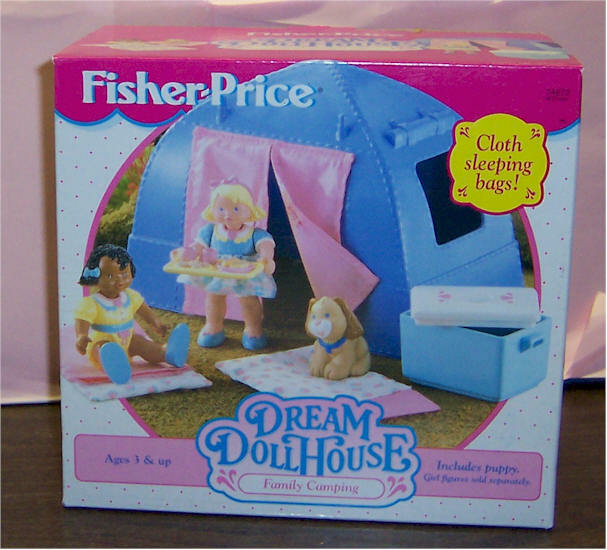 1994 Dream Dollhouse Family Camping Set - MINT IN BOX.. Includes puppy, tent, cloth sleeping bags and cooler. Sealed on both ends. 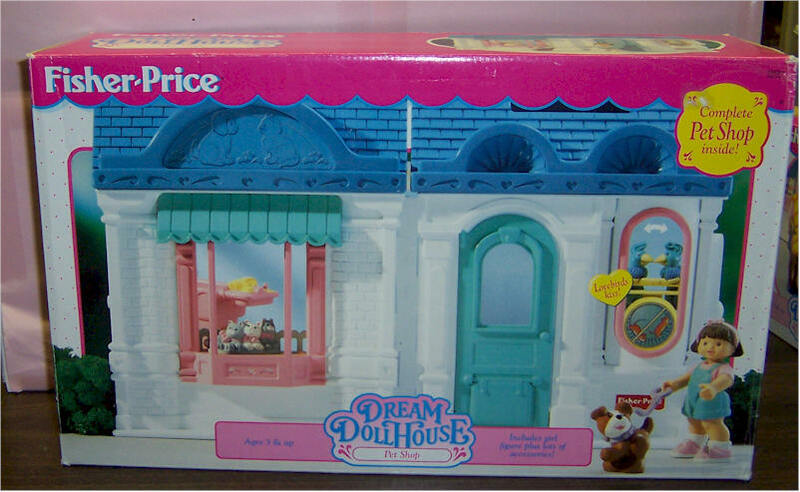 Price $24 1994 Dream Dollhouse Playground Se6 - MINT IN BOX.. Box sealed on both ends. Includes puppy, Merry-go-round and swing w teeter-totter. Loving Family Dad and Daughter. Mint in Box. Never Opened. 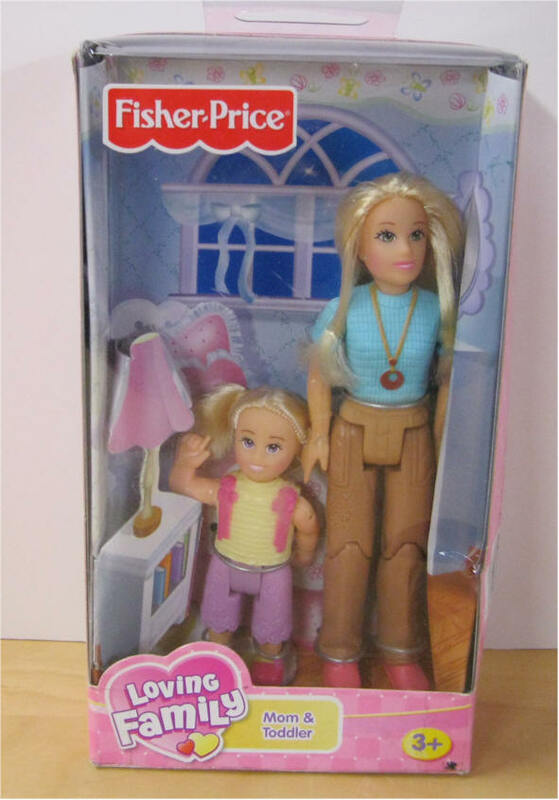 Price $6 SOLD Loving Family Mom and Daughter. Mint in Box. Never Opened. 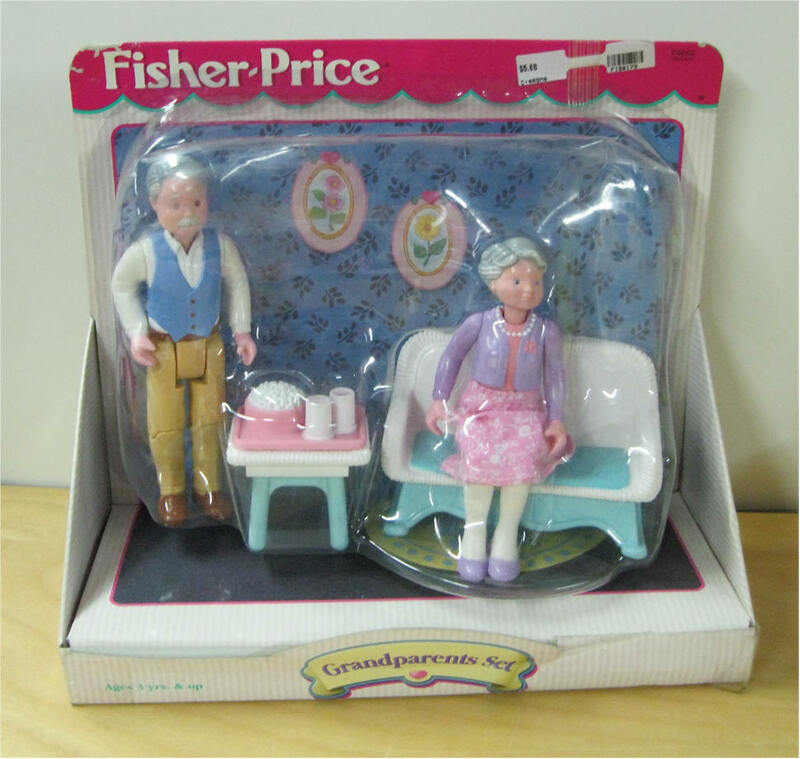 Price $12 SOLD Loving Family Grandma and Grandpa. Includes TV/VCR, Sofa, table and food tray. Loving Family Grandma and Grandpa. Includes Rocking Chair. 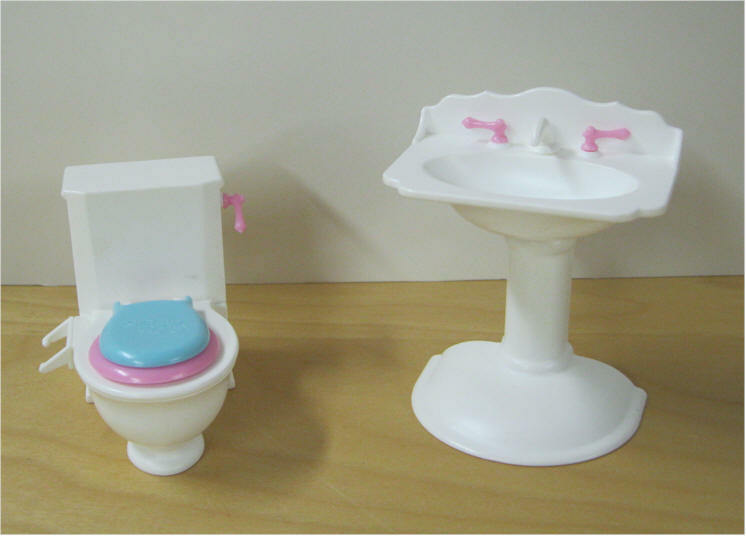 Price $28 SOLD Loving Family toilet and sink. Loving Family Cooking Fun - This home accessories assortment features : pan w cookies on it, 2 pans, mixer, pizza in a box,, 2 plates w pizza on them. Mint in Box. Price $6 Loving Family Holiday Fun - Includes 2 Christmas dinner setting with placemats, a pain of Christmas cookies, 2 Valentine dinner settings with placemats, a plate of Valentine cookies, a punch bowl with cups attached and a pumpkin for Halloween. Mint in box.